Lamb has been a fairly ongoing project formed by a female vocalist (Lou Rhodes) and electronic producer (Andy Barlow). They are known for wonderful juxtapositions of electronic grooves and textures with the tender melody that Lou Rhodes brings with her, and all the while inspired by jazz, drum and bass, trip-hop and many other musical influences. This album I'll babble about this time is Backspace Unwind, the group's second album released after their indefinite hiatus around 2006. Compared to all other albums before it, Backspace Unwind is quite minimal and much more focused on atmosphere. Once more, the band is seemingly comfortable with less according to the thoughts of the band that have been published on their website. The band calls many of the songs they wrote for the album as a type of meditation. It reinforces an idea that I, myself believe in when playing music: that space where notes aren't played are just as important as the notes that fill in space, if not even moreimportant. Lou describes her experience as this: "“Over those years I think we've learned that this journey needs no map; in fact tearing that map up, at every twist and turn, has become our regular gleeful practice.” After my first listens to the album I felt that less experimentation was present overall, but after reading up on inspirations for each song I've come to see that Lamb has worked hard to break their own preconceptions, and that there is creative risks taken here that aren't terribly obvious (http://lambofficial.com/backspace-unwind-overview/ ). And still, the impression that the album in it's entirety leaves on me seems just a bit lacking compared to albums like 5 and Between Darkness and Wonder. It could be that, being such a fan of interplay between serene and rough patches (especially apparent in "As Satellites Go By" and "What Makes Us Human"), the meditative nature of many songs without a striking juxtaposition don't stand out as much to me. My opinion can often change depending on the week or even the day, when I have time to ruminate on my thoughts, that much is for sure. So at the moment, I can say that Lamb is still in a wonderful creative position and I still have the utmost faith in their musicianship, despite the lack of impact some of these songs have on me in the long run. For anyone aware of past works Lamb has produced, I will warn you to have an open mind when considering the worth of this album. And for people who have no idea about the band thus far, don't despair if the album is not to your liking; there are past albums that open up completely different roads of the imagination for you to try next. German folk pop duo, Milky Chance has just released their debut album Sadnecessary. The band consists of lead vocalist Clemens Rehbein and Philipp Dausch as DJ. Mixing folk, electronica and rock the duo has discovered a rare vine of music that is currently washing over the airwaves. Their hit single “Stolen Dance” is one of the most popular songs of the summer, but this track is just the tip of the iceberg. The eleven track album is a solid first effort by the band and is a great introduction to one of Germany’s most popular rising acts. Sadnecessary begins with the mid-tempo beats and relaxed vocals of Rehbein, as he belts out the lyrics to “Stunner”. This quickly transitions to one of the records most upbeat tracks, “Flashed Junk Mind” that is easily one of the more notable songs on the record. Things slow down considerably with the next three songs, “Becoming”, “Running” and earlier released fan favorite “Feathery”. The almost lazy vocals of Rehbein carry the three tracks at a plodding pace with soft beats and gentle guitar strumming. Lyrically intricate and catchy, the three songs sync together extremely well. A short respite courtesy of the one minute and a half long song “Indigo”, leads into the title track of the album. “Sadnecessary” is the part of the album where things begin to pick up again in terms of energy. The song is a pleasant introduction to the more energetic and shall we say upbeat side of the album. Transitioning to the beautiful melodic guitar play from Rehbein on standout track “Down By The River”, the band picks up the pace through sheer instrumental talent. The hook filled song leads into the joyous sounding “Sweet Sun”. Reihben almost raps through the whole entire track as Daush lays down fast paced electronica to give the song a considerable kick. The final two tracks end the album on a very laid back note. “Fairytale” unfortunately ceases any momentum that the previous track garnered but is a good interlude to the highlight of the record. Chart topping single “Stolen Dance” is the bands international hit and is filled to the brim with catchy hooks and one memorable chorus. Ending on a high note with their most well known song is a time honored strategy that bands love to implement. This is a track that has put the duo on the map and is an excellent way to conclude their debut album. Despite the tendency to build momentum before slowing down the pace for one or two slower paced tracks, Milky Chance has managed to create a brilliant piece of art that will satisfy their growing fan base. 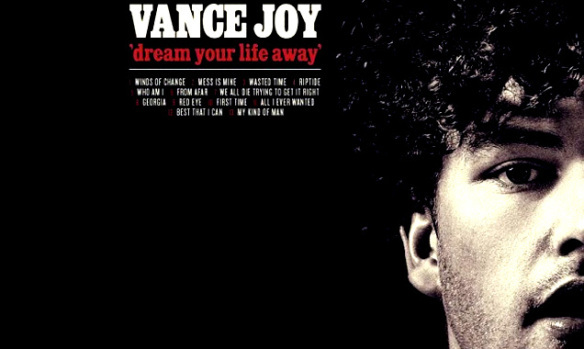 Appearing first on the scene with standout single “Riptide”, James Keogh or better known by his stage name Vance Joy has finally released his first full length album. Alternative indie folk rocker, Joy is an Australian singer/songwriter that burst onto the music scene in early 2013 with his EP, God Loves You When You’re Dancing. This pushed Joy into the spotlight and marked him as one of the fastest rising stars in the indie folk rock genre. On September 5th of this year he released his debut album Dream Your Life Away to rave reviews. From top to bottom Dream Your Life Away is a remarkably solid and pleasant album that shows off Joy’s crowd pleasing style. The whimsical “Winds Of Change” starts the album off on a light-hearted note before diving right into the more powerful sounding third single titled “Mess Is Mine”. Starting with a simple guitar strum that builds up and then turns into a cascade of violins and drums. Joy’s almost mournful howl could break hearts right then and there. Track three,”Wasted Time”, begins at a faster pace but still has an almost sad sounding undertone, before introducing his hit single “Riptide” that refreshes the palate. While the next song, “Who I Am”, is nothing too special and is really one of the only few snooze pieces in the album, it makes a wonderful segue into Joy’s very first single “From Afar”. Another lyrically sad track that tugs at the heartstrings, Joy delivers the song with the skill of a seasoned veteran and the mounting chorus of “It doesn’t come as a surprise”, repeated over and over again make for a foot stomping good time. If Joy had ended the album here it would have been just fine, but then again that would only be half of a full length album. 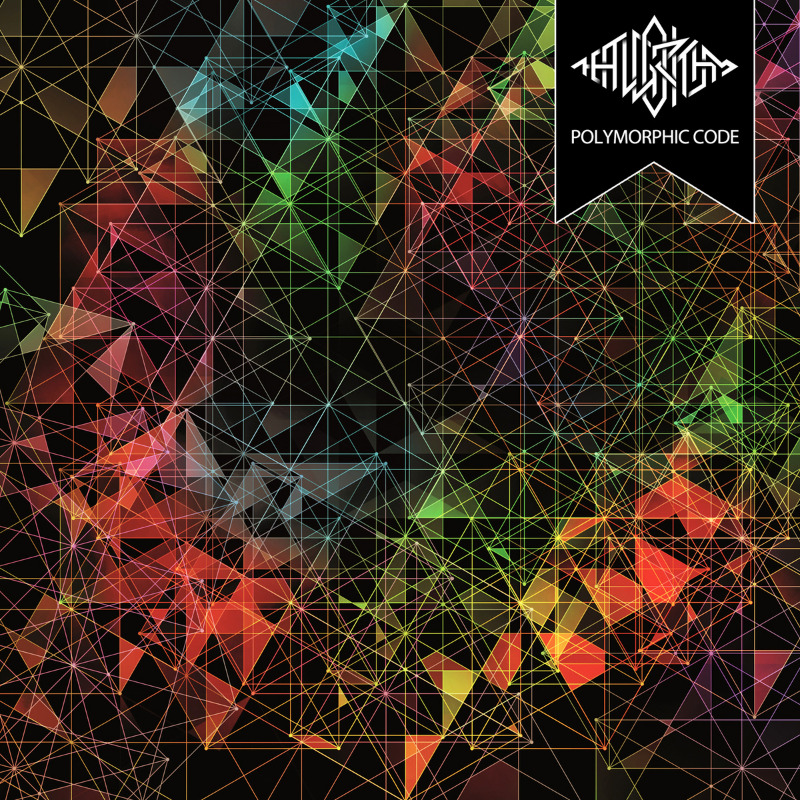 In what appears to be a similar pattern for the indie rocker, the slow build-up before a more frantic paced finish becomes his bread and butter on the next three tracks “We All Die Trying To get It Right”, “Georgia” and “Red Eye”. All decent tracks, but with similar starts and finishes, it feels a little monotonous. 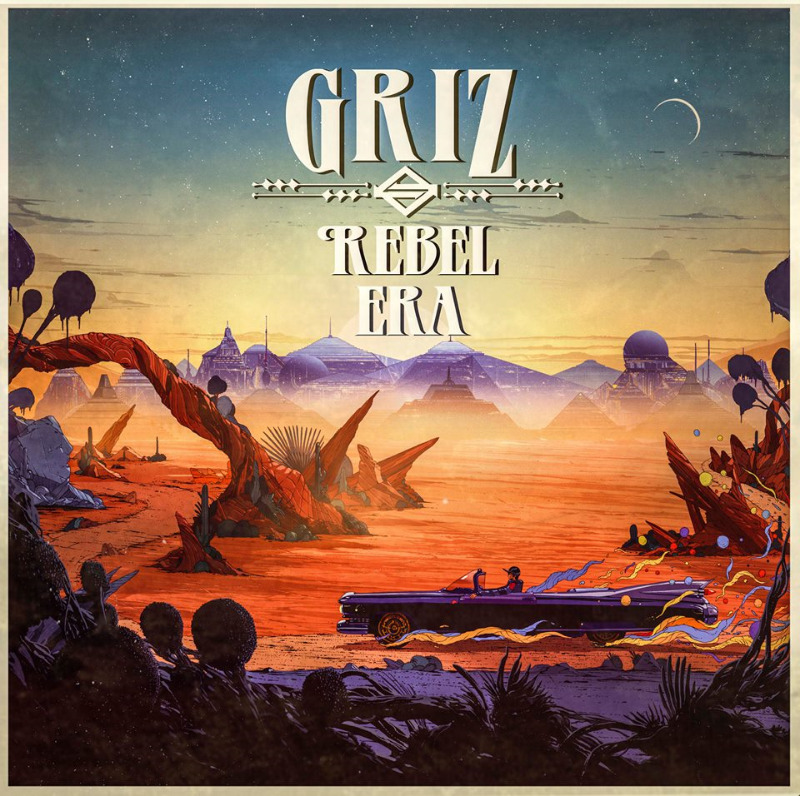 This all changes with the moody faster paced “First Time” that as soon as it ends, quickly changes gears and melds into the uplifting track, “All I Ever Wanted” that makes the listener think of better times. The final two songs on Joy’s debut album are “Best That I Can” and “My Kind Of Man”. Both are slow love ballads that show off his soft vocal range. While it is not the most bombastic way to end his album, it is very fitting considering he started as a folk crooner that played small venues around Australia. Overall, Dream your Life Away is a fantastic debut album that will propel Joy to even greater heights and is one record that fans of both folk and alternative rock can enjoy worldwide. This album is solid as a rock, front to back, and represents a confident return to form without repeating what has already been sung. There is power and confidence in the build-up between sections, experimentation within genre boundaries and strong melody lines that both soar above and float low near the ground. I think what I’m trying to say is that the new Weezer songs are comfortable sticking around melody lines that are just catchy enough, and confident when modes switch into bridge sections. And still, in my opinion the way that the album really proves itself is in the lyrics, and the dedication to the band’s bond with its listeners in style and lyrical content. The song “Back to the Shack” is tied to the story of getting back to The Village recording studio in Los Angeles, lovingly referred to as the shack. The song opens with the words “Sorry guys, I didn't realize that I needed you so much” and continues to declare what went wrong, what they did to fix it, and how they feel like they are back where they belong. The producer (Ric Ocasek) that helped them for “Everything Will Be Alright in the End” also helped them produce the albums “Pinkerton” and “The Blue Album”, featuring many songs that are widely considered to represent Weezer’s glory days, and it shows. This album draws from the hopeful future as well as the past, and what made the band first sound good. Guitar chords are well chosen and have a meaty quality. Song structure doesn't off-put the listener and still varies enough to not feel painfully straight-forward. Songs like “I’ve Had It up To Here” demonstrate the vocalist’s (Rivers Cuomo) fairly impressive vocal range and comfort that is expressed throughout. No one band member fades in the background; they all have equal presence and representation in the music at different times. One of the most exciting acts to come out of Scotland in recent years. The Red Hot Chilli Pipers are an ensemble that consists of bagpipers, drummers, guitarists and keyboardists. While they have no ties to American rock band the Red Hot Chili Peppers, they can rock just as hard. First appearing and winning the BBC talent show in 2007 called, When Will I Be Famous? The band has been gathering followers around the world. In 2010 they headed out on their first world tour that exposed them internationally and opened the floodgates to a whole new audience. The Chilli Pipers have released five full length albums that range from covering old celtic ballads to some of the most popular singles in music history. They are best known for covering high profile bands like Journey, Avicii, Queen, Coldplay and many more. Because of their unique approach to performing and recording, the Chilli Pipers are becoming one of the most sought after live acts around. Even though they will most likely not be headlining any festivals soon, their frantic and crowd pleasing performances make up for their lack of original material. America has not fully recognized the enormous amount of talent that the ensemble possesses, but with consistent touring in the states that could all change very soon. Here's "Wizard Staff" the single from Portland based indie pop band Wampire's newest album Bazaar. Irish singer/songwriter Andrew Hozier-Byrne or more commonly known by his stage name, Hozier has just recently released his debut self-titled album. Having already been released in Ireland, international fans of the budding indie rock star can purchase the album in October after its global release. Appearing out of nowhere on the indie folk rock scene in 2013 with his hit single “Take Me To Church”, Hozier instantly turned heads. Now readying his debut album, Hozier is set to take the spotlight. 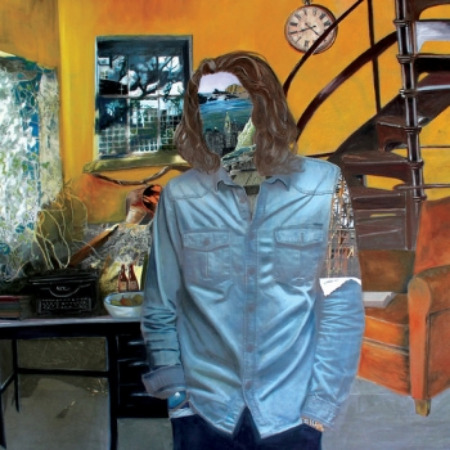 Hozier is a soulful and extremely solid indie rock album that has a powerful kick throughout. Starting off with the breakthrough single “Take Me To Church”, a slow building track that truly highlights Byrne’s beautiful vocals and guitar play. Picking up speed with “Angel of Small Death & the Codeine Scene”, Byrne displays a faster paced, foot-stomping affair that is sure to become a staple at live shows. Quickly followed by two of the most positive and optimistic sounding songs on the whole album. “Jackie and Wilson” and “Someone New” are upbeat folk rock epics, that are a pleasant respite from the much gloomier sounding first two tracks. The pace slows down considerably with “To Be Alone”, which is a painful love ballad that sends shivers up your spine. This segue’s into Byrne’s most recent single “From Eden” that is quite possibly runner-up for second most hypnotic song on the album. Track number seven, “In A Week”, features the only duet on the album and Byrne’s soulful lyrics are accompanied by Karen Cowley’s delicate vocals. It is hard to top this fantastic partnership but track eight “Sedated”, does just that. One word to describe this hidden gem of a song is “Anthemic”. Easily one of the strongest tracks on the album, you are looking at a future single in “Sedated”. Byrne does not stop the waterworks as the soulful and sad track “Work Song” keeps the momentum going. The almost Bon Iver sounding track “Like Real People Do”, is a slow haunting song that demonstrates his softer vocal range. “It Will Come Back” and “Foreigners God” are bluesy hard-hitting tracks that shake you to your bones and are undeniably catchy. They become a perfect introduction to the albums soft sounding finale. “Cherry Wine”, is a heartfelt ending to a versatile indie rock album that will no doubt be placed in the years top rock albums lists. The quite plucking of Byrne’s guitar and smooth lyrical delivery make for a slow yet satisfying ending. The album is an extremely competent debut for the blues/soul singing Irishman. Hozier finds strength from Byrne’s incredible vocals and intricate song writing. With his meteoric rise in the music world and the impending global release of his self-titled album, there is no telling how far Byrne will go. Look forward to one of the best soul/folk rock albums to be released this year. As one dude on Soundcloud describes, this is the type of song that makes you want to get up early in the morning and ride your bicycle. Soon to be played on the Lonesome No More Show w/ DJ PizzaGhost. Unreleased boogie gem from Robbie M. of the Midnight Express Show Band, famous for the 80's track Danger Zone. Trippin' to Jam City USA. It's wherever the jams at though really. McKinley Mitchell's "The Town I Live In" as heard on James and the Adjective Noun's show Pie Face Show Case. A little known R&B track from 1962.